Church fathers tell us that the love of God warms the soul. Hell and sin are cold. So this photo, so striking in its whiteness and cultural drama, also is highly symbolic of Christ’s incarnation and salvation of the world. 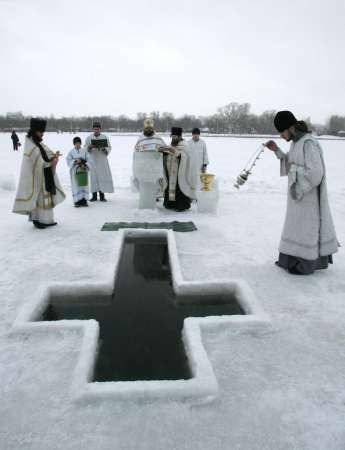 These Christians are blessing the waters on Theophany as Christ blessed and baptized a cold and needy Creation when He went down into the Jordan.